It hit the exact location where we both were. That means someone was behind it. 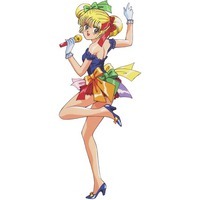 Eriko Tamura is a character from the anime Legendary Idol Eriko.